Lately, Facebook has been upsetting a lot of small business owners and entrepreneurs. Today I figured I would share a few tips to manage your Facebook Page effectively to help inspire you to get out of that frustration with Facebook. No matter how much you think you already know about Facebook Page management, it’s never too late to learn something new. Each of us can learn something from one another as we share our own tips to manage your Facebook Page effectively. The key to being successful when you work from home is to make the best use of your time. When you’re posting and scheduling updates for your Facebook Page, you should always keep in mind what your goals are. Some goals that the average Facebook Page manage may have are to get clicks to a website, sell a product or service and gain more exposure for their blog. Whatever your goals are in having this Facebook Page, you must always keep those in mind when you determine what you’ll post for updates. Facebook can be an overwhelming place when it comes to using it for personal use, but when it comes to managing a Facebook Page you’ll have to set aside the personal newsfeed and focus on your page. You need to frequent your Facebook Page throughout the day to monitor, engage and moderate comments from your visitors. This is to ensure the conversation keeps going and stays on track. 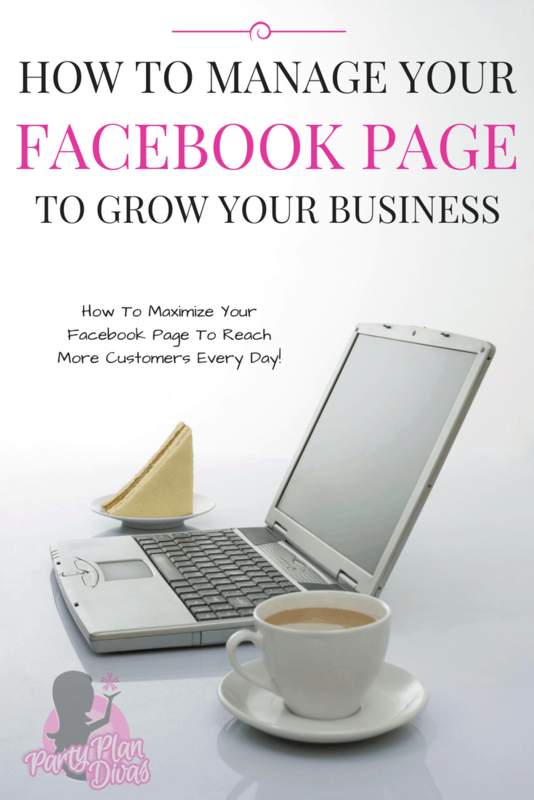 Having an active Facebook Page will be vitally important in ensuring you achieve your goals. The key to ensuring that you’re Facebook Page is managed effectively is to share 80% of niche similar updates from other users and 20% of your own information and updates. Develop a weekly or monthly plan that details what you’ll share on your Facebook Page every day. Having a plan that is effective and stays aligned with your niche as well as goals will ensure that you’re working hard to manage your Facebook Page effectively. While you can schedule updates directly from your Facebook Page, there are many other tools available to help you manage your page effectively. It’s all about saving time and money, investing in a scheduling tool that allows you to plan out your schedule as well as monitor and engage on your Facebook Page regularly. Check out my favorite Social Media Scheduling Tools to help you save time while still having a constant, consistent online presence. Lastly, you’ll want to confirm that you’re truly managing your Facebook Page effectively by viewing your Facebook Insights. When you’re logged into your Facebook Page, you’ll be able to see an insights tab that will allow you to analyze clicks, visits, and other pertinent data. Consider creating your own report of what is working and what is not working on a weekly basis. This will ensure that you continue tweaking your Facebook Page updates to suit what your visitors seem to like best and in turn help with the substantial growth of your page. There are many tools and resources available to help guide you forward in being successful when it comes to managing your Facebook Page effectively. Each of the tips I shared today is a great starting point for building your brand on Facebook.